Do you know when you want to sell? Are you prepared if something happens to you that may force you to exit your business? Usually the answer to these questions is a resounding ‘no’, writes Jeremy Streten. If you are in business, you are generally doing everything you can to keep your head above water, service your customers or clients and bring money into your business. Preparing for the sale of your business is a vital aspect of any business owners’ journey through the lifecycle of their business. Yet it is so often something that is missed. It is for this reason that I have developed the Business Legal Lifecycle, which is a framework for business owners to understand what they need to do in business and when they should take those steps. In any business that you operate, you need to keep the goal and the end in mind for the business. Let’s face it: most people usually do not know what their end goal is for the business. Having an idea of the general direction and an end goal in mind (that may change in the future) is vital for the success of your business. As a business adviser, I have seen countless examples of business people who are operating successful businesses and they get stopped in their tracks – they get sick, a family member might get sick, or they might lose passion for what they are doing. If this occurs, then usually you will want to sell the business. In my experience, it can take two years from when a business owner decides that they want to sell until the business is in a position to be sold for the best possible price. This means that if something happens to you and you have not considered any of the sale of business factors, then you could be left selling a business for a lot less than you thought it was worth. During the operation of your business, there are many things that you can do to ensure that your business can be sold for the price that you deserve. What are people looking for in a business to buy? It is important to understand why people buy a business and what people look at when they are buying a business. Unless you have some great product or service that can be exploited by a business, then generally a business will be valued by a multiple of its earnings. In business, there will be a figure that the business owner takes as profit (often called EBITDA – earnings before interest, tax, depreciation and amortisation) and a sale price which is calculated as a multiple of that figure. Often other costs, such as the value of plant and equipment, can be added to the business. What do you need in place? 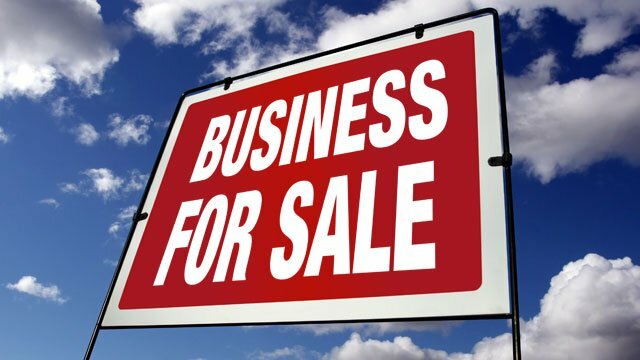 There are many factors that need to be considered before you sell a business. Firstly, don’t take cash for your income: make sure you record all of your income through your books. All too often, business owners think they are clever in taking cash for their fees to save the tax they have to pay on that income. If you save 30 cents in the dollar of earnings of tax, that is great; but due to the fact that the money is not in the official books, you can lose $3 or $4 per dollar of earnings that you take as cash in the eventual sale price. I have seen examples where this has cost business owners hundreds of thousands of dollars! How do you engage with your clients? Do you have a debt collection process to ensure that the cash flows properly through your business? Do you have staff? If so, what agreements do you have with them? Have you protected your intellectual property? For example, do you have a registered trademark or patent? If you lease premises, is it a commercially viable lease and is it properly documented? Is there any litigation that the business has been involved in? Obtaining the advice of your consultants on all of these aspects of your business is critically important in preparing a business for sale. You may think that it will never happen to you, but it is important to understand that if something goes wrong, you may have to sell quickly and it is important to understand what you need to have in place. This article has been republished. You can find the original version at here.